Generates a forked lightning bolt from a given point to the edges of objects in the ToObj input clip, and renders it over a background input. Source: Selectable. The clip to combine the lighting image with. ToObj: Selectable. The edges of objects in this clip are extracted, and the lightning connects to points along these edges facing towards the starting point. Background: Optional. Composites the Source and lighting over this clip. Mask: Optional. If provided, this input is used to control which edges are used to attract the lightning. Edges found in black areas will not be used. Edges found in white areas will be used as normal. Edges found in grey areas will be scaled down. Surface Points: Integer, Default: 10, Range: 1 or greater. The number of points along the edges to connect the lightning to. These surface points are divided up amongst the shapes in the ToObj input. If the number of requested surface points is equal to the number of separate shapes in the ToObj input, one lightning fork will connect to each. Start: X & Y, Default: screen center. The starting position of the lightning. This parameter can be adjusted using the Start Widget. Max Dist: Default: 2, Range: 0 or greater. The maximum distance of surface points from the Start position. Edges outside this distance are ignored. This parameter can be adjusted using the Start Widget. Blur ToObj: Default: 0.025, Range: 0 or greater. Blurs the ToObj input clip before finding the edges. This can help remove noise, and reduce the number of separate shapes. You can use the Show Edges option to view the edge image directly while adjusting this parameter. ToObj Use: Popup menu, Default: Luma . Determines which channel of the ToObj input channels are used. Edges: shows the target edge image. This can be useful to view while adjusting the Threshold and Blur To Obj parameters. Width: Default: 0.1, Range: 0 or greater. End Pointiness: Default: 0.25, Range: 0 to 1. Wrinkle Amp: Default: 1, Range: 0 to 5. Branchiness: Default: 1, Range: 0 to 20. Bolts: Integer, Default: 1, Range: 1 or greater. The number of independent forked lightning bolts to draw, each connecting the Start position with the edge points. Scales the brightness of the source clip before combining with the lightning. If 0, the result will contain only the lightning image over black. 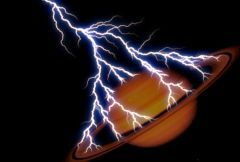 Determines how the lightning and glow are combined with the source image. Add: causes the lightning to be added to the source image. This gives brighter glows over light image areas. Zap Color: Default rgb: [1 1 1]. If this value is positive the output Alpha channel will include some opacity from the lightning and its glow. The maximum of the red, green, and blue brightness is scaled by this value and combined with the background Alpha at each pixel. Atmosphere Freq: Default: 2, Range: 0.1 to 20. Atmosphere Detail: Default: 0.7, Range: 0 to 1.